The 2019 Application period has closed; please check back for updates on the 2020 application cycle. *Please note that deadlines posted to the UHCOP website apply to the university portion of the application only. Please check with each individual hospital for PhORCAS deadlines. In addition to guidance and classroom instruction from award-winning pharmacy leaders at the local and state level, The Houston Program has hosted such national thought leaders as ASHP Whitney Award Lecturer David Zilz. 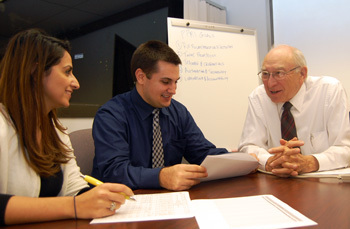 Taking full advantage of the resources of the world’s largest medical center, the 24-month Houston Program in Pharmacy Leadership and Administration offers unique learning, teaching and collaboration opportunities to train the next generation of pharmacy leaders. The University of Houston College of Pharmacy offers a Master of Science in Pharmacy Leadership and Administration, with PGY1 and PGY2 Health-System Pharmacy Administration (HSPA) residency programs from seven leading Texas Medical Center institutions. To be the premier platform to develop influential pharmacy leaders. To develop versatile pharmacy leaders who will advance healthcare by utilizing collaborative experiential and academic resources at the University of Houston, at our Texas Medical Center partners, and throughout the greater Houston area.